SunSuper has hired two new business development managers within its retail advice team as part of efforts to expand into the financial advice market. 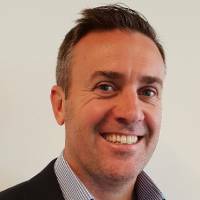 The industry fund currently holds with $58 billion in funds under management and will be expanding its team with the hiring of Charles Black as a Queensland BDM, while Gerard Bailey will be a NSW BDM. Both will join from Colonial First State – Mr Bailey on 21 January and Mr Black on 29 January. Sunsuper said the newly appointed BDMs will be responsible for continuing to build within the retail advice channel and grow its membership and funds under management via financial advisers. “We’re now on over 20 licensee APLs and have close to 3,000 advisers who frequently recommend Sunsuper when they’re advising clients to invest in a high-performing, low-cost superannuation and retirement product,” said Sunsuper executive general manager of growth, marketing and advice, Michael Mulholland. The appointees will take Sunsuper’s retail advice team to 34 employees.